This 7" is just like the one I posted about a couple of weeks ago, except with different songs and worse artwork. 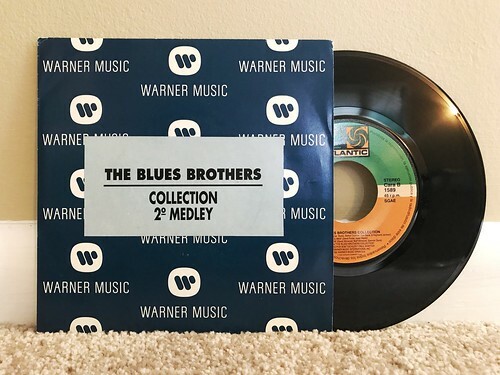 Like the first Collection Medley 7", this one has the same song on both sides. 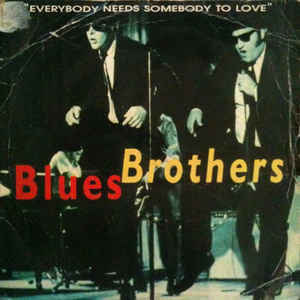 That song is a medley of a minute or so of 3 Blues Brothers songs mashed together. 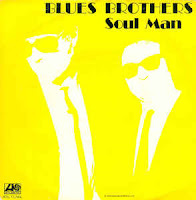 This time we have "Who's Making Love," "Soul Man" and "Gimme Some Lovin'." All three are obviously great songs, but I still just don't see the purpose of this 7" or what circumstances it would have ever been useful under. 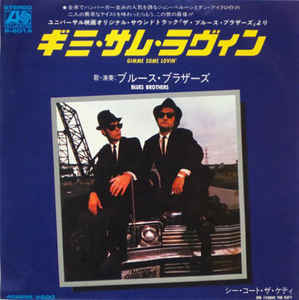 This 7" also marks an odd ending to my trend of highlighting a Blues Brothers 7" every other Thursday. I've finally run out and don't have any more. There are a few more picture sleeve 7"s out there that I haven't tracked down yet, so I'm hopeful I'll have more someday, but as a regular recurring thing, this looks like the end. 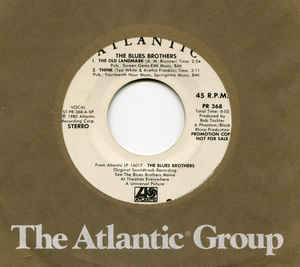 I have to say that I never realized just how many different Blues Brothers 7"s were out there. This has been a fun little mission and I just wish I could have tracked down those last few before I ran out of the ones I do have. I do have a few with no artwork, but those aren't very interesting as I've already written about the ones that have artwork versions. The last few I have are meant for my jukebox, if I can ever get around to having that fixed. Trash Knife / Dumb Vision - Split 7"
Bug Sneakers / Just A Fine Slope - Split 7"